The District 1 Championship Meet will be contested at Notre Dame High School in Cape Girardeau on Saturday. Spectators are in for a treat in the boys race with three of the top five runners in the State squaring off. The trio of 2017 All-Staters is lead on paper by Blake Morris who sports a 15:47 season best, followed by last years State Runner Up Max Mcdaniel with a 15:48, and then Jonathon Coffman who holds a 16:02. 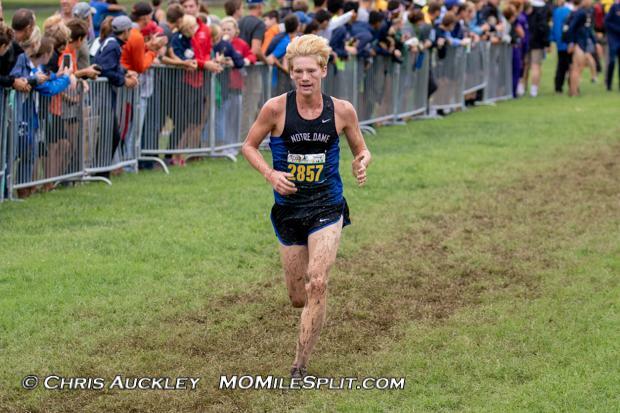 It should be a great race to watch, and will be a mini-preview of whats to come at Oak Hills next weekend. Festus looks like it will easily capture the team title with a projected 24 points with all seven runners in the top eleven. That'll leave Notre Dame (Cape Girardeau) and traditional powerhouse Herculaneum battling for the final State position and they are TIED in the virtual meet with 69 points, so this is going be a real nail biter. The girls race looks to be very close as well with Freshman Esperanza Zalite coming in with the fastest time this season with a 20:09, followed by last years third place finisher at State Nautica Stricklin with a 20:10. DeSoto Freshman Kayla Vogelsang is also right there with a 20:13, and Kayley Heeter is just behind her with a 20:21. It looks like we are going to get pretty good races on Saturday. The team title will be a battle between Festus and DeSoto who come in with projected scores of 51 and 56 respectively. Notre Dame also has the potential to play spoiler as they come in with a projected 74 points. For Full Class 3 District 1 Rankings and Team Scores Click Here.